Mel and I purchased this sign from an antique store a while back. 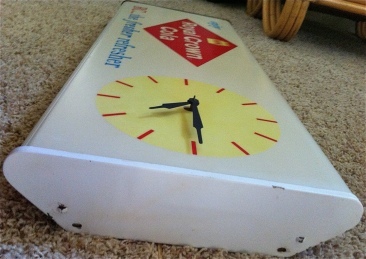 This is a light and a clock but I am unsure if I will plug it in and use it as such because we have a few other clocks and how many do you need in one room? Anyways, this sign needed a little cleaning up on the end caps and some paint of course. 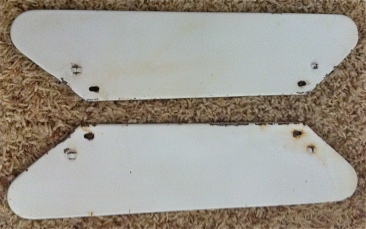 The end caps were scratched up and rusty. Once I removed the caps I cleaned them and sanded any loose paint off. Here are the end caps painted up and looking nice. I wanted to change the color to make the sign stand out more. Here are the newly painted endcaps and a new red accent line on both ends. Here is the sign all done! 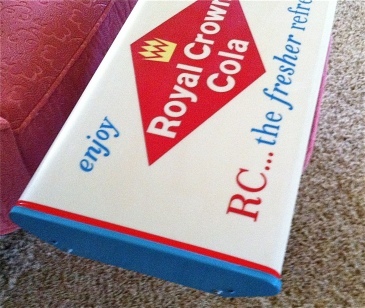 That RC Sign is a cool restoration. Let us know if you decide to sell it. Your site is excellent! I appreciate your kind words. I am glad you like the simple resto I did on it. If I ever do decide to sell it I will let you know, thanks!